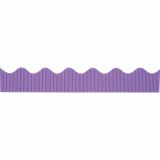 Pacon Bordette Decorative Border, 2 1/4" x 50' Roll, Violet - Bordette is the original, pre-scalloped, fade-resistant decorative border. The sturdy corrugate provides a unique three-dimensional appearance on any flat surface. It bends, molds, turns and twists to create unique layered designs. 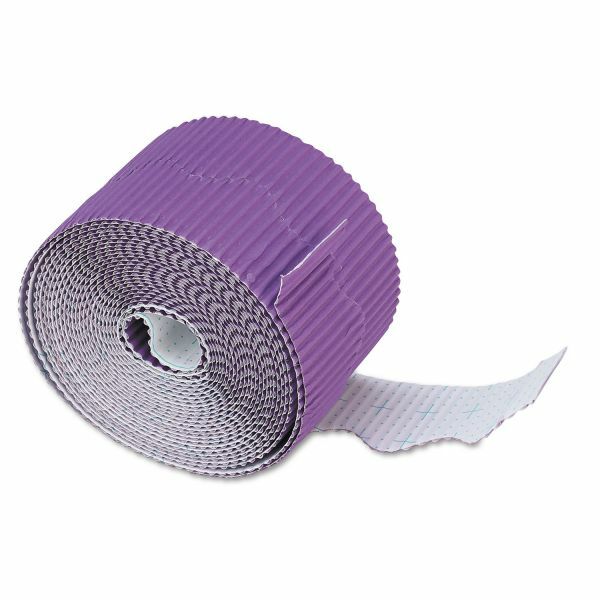 Packaged in a perforated roll, Bordette is easy to separate. 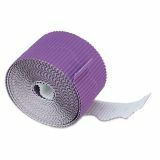 It comes in the same Violet color as Fadeless brand paper so it's easy to mix and match colors to create the perfect display. 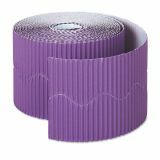 One 50' roll of Bordette will completely edge two 8' x 4' bulletin boards.